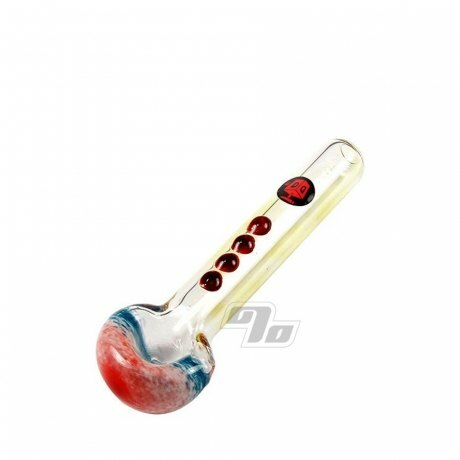 Pick up a Lil Patriotic Guy glass spoon pipe with a red, white, and blue bowl. This spoon pipe also feature 4 red frets on a fumed mouthpiece. About ~3.5" long with the widest part hitting ~1.25". Show off your patriotism with this lil guy and move on up to glass. 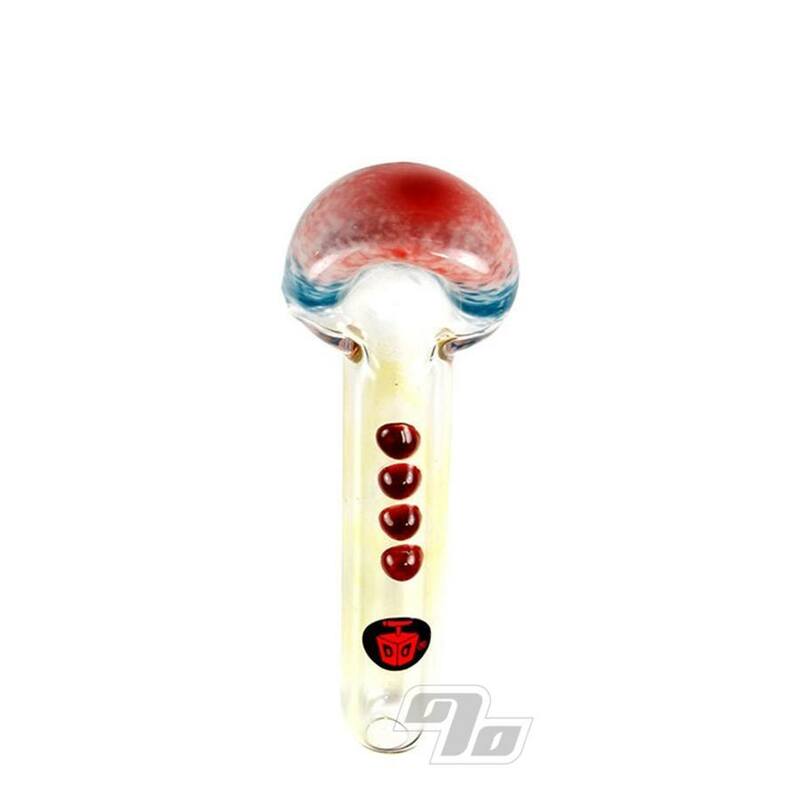 Every Dynomite Glass pipe (especially this one) is handblown in the USA. All Dynomite Glass is authenticated with their red and black logo. Handblown means each glass piece is unique and may vary slightly from image shown.